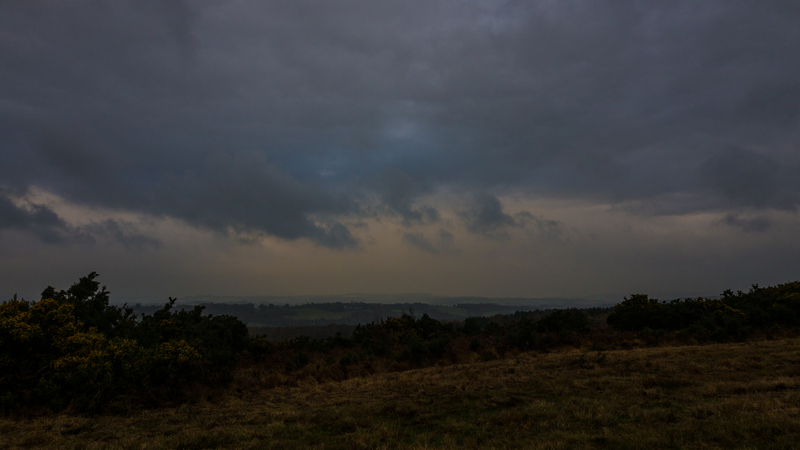 Gills Lap on Ashdown Forest is beaten with rain and low cloud hugs the hills; the ground is black, waterlogged and cold. There is no wintering great grey shrike sitting high on a lookout, just a handful of fieldfares laughing in its place then drifting across the heath. 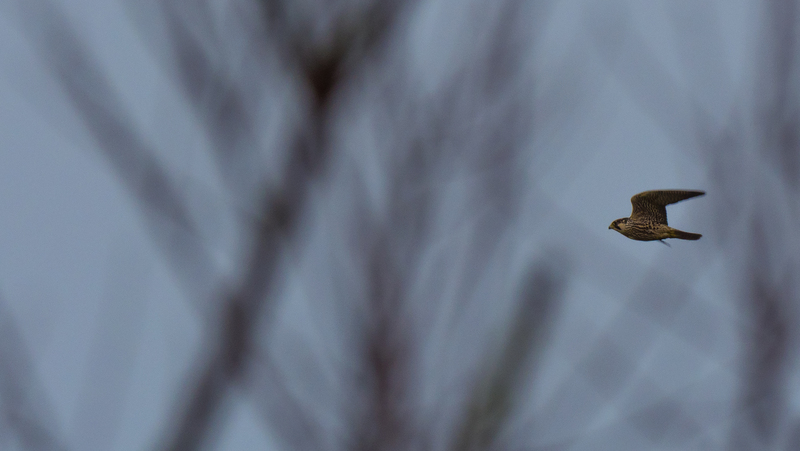 A passing peregrine sends the chaffinches into a flurry of calls and woodpigeons career across the sky. 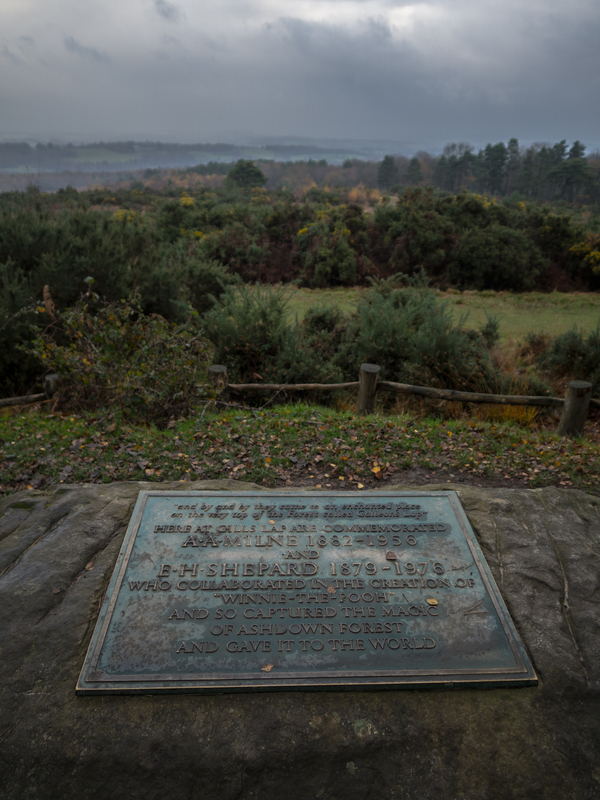 The memorial stone to AA Milne and EH Shepherd is tucked into the hillside sheltered by birches and the view west is gloomy and grey; it is not a day to stay.